A new report warns that the Earth only has another eleven years to reverse climate change before suffering irreversible and catastrophic damage. Not surprisingly, bicycling and walking more were among the mitigating tactics the researchers recommended to help fight climate change and keep the planet habitable. Then again, that news is nothing new. 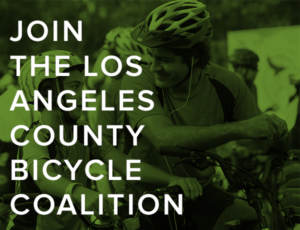 Although it may come as a shock to some members of the LA city council, where self-proclaimed environmentalists continue to block bike lanes and keep Angelenos dependent on their cars, despite acknowledging a climate emergency. Maybe now they’ll finally get the message. And actually do something about it. Though something tells me we may all turn blue from waiting. Unless we die first from the effects of all those cars idling in traffic. Meanwhile, Elon Musk’s takeaway from that climate change report is that we need to all switch to solar powered e-cars. It’s almost like he has a stake in it or something. Thanks to Jason Islas for the Musk heads-up. LADOT has advice for bike riders on how to use the new left hand, parking protected bike lanes on Spring Street in DTLA. Now if they could just come up with advice for drivers on how to avoid parking in it. LA County serves up a great video recap weaving a musical tapestry from last month’s Celebrate LA! CicLAvia. Thanks to LA County Supervisor Mark Ridley-Thomas for the link. 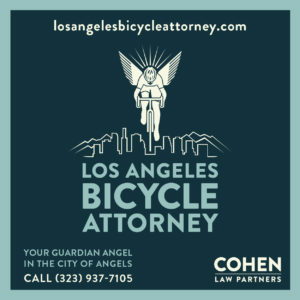 Bike Snob’s Eben Weiss continues his ascent to being one of the country’s leading bike advocates, this time taking on the self-described “avid cyclists” who stand in the way of bike safety. Sort of like the Kiwi driver and self-described cyclist who got upset when he had to follow two chatting bike riders, calling them entitled, rude and careless for delaying him for a whole 21 seconds. Something tells me Weiss would agree. Anyone have more information about this crash near Santa Monica Airport? That totally trashed bicycle doesn’t look good. However, there’s nothing in the news about it. And usually, no news is good news. Update: I saw the following email from Benjamin S after I posted this last night. Meanwhile, a comment below says it took police 12 hours to clear the crash scene, and that forensics was called to investigate, which is never a good sign. Let’s all take a moment to offer a prayer or good thoughts for the victim of this crash, and hope for the best. Pro cyclist Ted King was on the receiving end of a punishment pass from a road raging driver. Twitter user RS recognizes the location as Petaluma Road in Point Reyes. Nothing like endangering a kid in a baby carriage with an ill-advised pass. Lifehacker considers whether you should buy an ebike. Unfortunately, the first — and often, last — consideration for many people is whether they can actually afford it. The New York Times questions whether ebikes are about to take over the city, now that Gotham has eased restrictions on ped-assist bikes. Business Times argues that ebikes can make you fitter than a regular bike. Which is probably true if the regular bike stays in your garage. And Wired examines how dockless bikeshare provider Jump designed a global ebike capable of serving the most people, in the most urban environments. A ghost bike will be placed tonight for the victim of Sunday’s bike crash in Sun Valley. 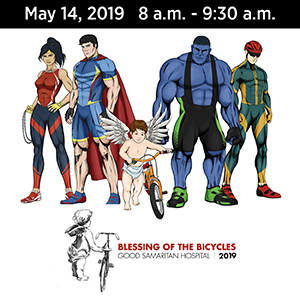 The Challenged Athlete’s Foundation is hosting a 600-mile Million Dollar Challenge ride down the left coast from Monterey to San Diego next week. The Orange County Bike Bells program to distribute bike bells to mountain bikers was honored with a Savvy Award for the best use of a promotional item from the national City-County Communications & Marketing Association (3CMA). A separated Class 1 bike path in Goleta has won the Bikeways and Trails Project of the Year Award from the Los Angeles chapter of the American Society of Civil Engineers. Now this Oakland bikeway is what a protected bike lane — and a Complete Street — should look like. Former pro Levi Leipheimer’s Levi’s GranFondo drew over 4,000 bicyclists to Sonoma County over the weekend. Sacramento approved a change to the city’s food vending vehicles code to legalize food bikes, at the urging of a couple who found out their fresh Stroopwafel bike violated the city codes. The author of the “safety in numbers” theory says that tiny vehicles, such as e-scooters, could be the best thing to happen to Vision Zero. Bike Index talks with the owner of the 5,000th stolen bicycle recovered through the free bike registry. Bicycling profiles what they call cycling’s cutest rider, a three-pound Schnoodle named Pippa. It’s neighbor against neighbor on the streets of Denver, where residents are split on a series of mini traffic circles installed as part of a neighborhood bikeway giving priority to non-motorized users. Cycling tackles one of Colorado’s most iconic passes. A Colorado bike tour has left a trail of bounced checks and broken promises in its wake, including stiffing a high school marching band. If drivers can’t even manage to avoid dooring the new Milwaukee street car, how the hell are they supposed to see us? In a problem DTLA bike riders can relate to, a Chicago TV station reports that bike riders are being endangered by having to swerve around cars and buses parked in a bike lane. Maine is trying to boost bike tourism by plotting a 320-mile extension to US Bike Route 1 through the northern part of the state. New York is building a 750-mile escape route, uh, bike trail to Canada. WaPo discovers ‘bents, saying today’s adult tricycles are low, sleek, speeding and growing in popularity. In Vancouver, dooring isn’t considered a crash, because the car isn’t moving and bikes aren’t considered vehicles. And the fine is just $81. Life is cheap in Manitoba, Canada, where an allegedly drunk hit-and-run driver got just two years for killing a bike riding father; he also lost his license for five years, but the court cut that in half to credit him with the time since the 2016 crash. A candidate for the Windsor, Ontario city council is taking Bike the Vote seriously by doing his campaigning by bicycle. A “radical” new proposal would pedestrianize half of the streets in London’s historic core, banning cars and trucks while lowering speed limits to just 15 mph. A reporter follows BBC presenter Jeremy Vines as he rides his bike from his TV gig to his radio studio, and quotes Vines saying riding a bike is quicker than a Maserati in London. Safety first. A British bike rider dressed all in black, including a balaclava, to murder a man in a bike-by shooting — but wore a hi-viz jacket over it. One paper suggests it could be an effort to hide in plain sight. No surprise here. 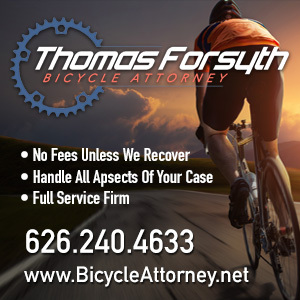 A new study from a British insurance company shows that bike riders make better drivers; bike riding drivers filed claims at less than half the rate of other motorists. A UK city is posting “Share with Care” signs to remind bike riders and pedestrians to safely share formerly pedestrian streets that were recently opened to people on bicycles. Police in a British city are stopping bicyclists for using a cellphone when they ride. Only problem is, that’s not illegal. A Scottish woman is on track to shatter the record for the fastest women’s ride around the world. Bicycling is booming in Russia, despite market conditions that limit the importation of better quality bikes. International diplomats climb on their bikes to fight climate change in Islamabad, Pakistan. Foreign workers in Dubai can’t get to their jobs after their bicycles were confiscated for violating the emirate’s law mandating bike helmets and hi-viz. Kiwi bike riders say they’re sick of the anti-cyclist vitriol on social media. The Korea Times takes a look back at the country’s first women bike riders, even though many of the first women’s bikes were ridden by men wearing traditional skirts. Tragic news from Japan, where an 88-year old woman is in a coma after being knocked down by a 13-year old boy on a bike. An admittedly flawed Irish study shows a worrying increase in spinal injuries among competitive cyclists. A writer for Outside says America’s most recent ex-Tour de France winner is seeking forgiveness by starting a new cycling team. A new Chinese cycling team with a massive budget sets out to win the Tour de France by 2025. A cuter, fluffier way to sniff out dope cheats. Why change tires when you can just zip on a new tread? And apparently, there’s nothing scarier than bike-riding teenagers in clown masks.